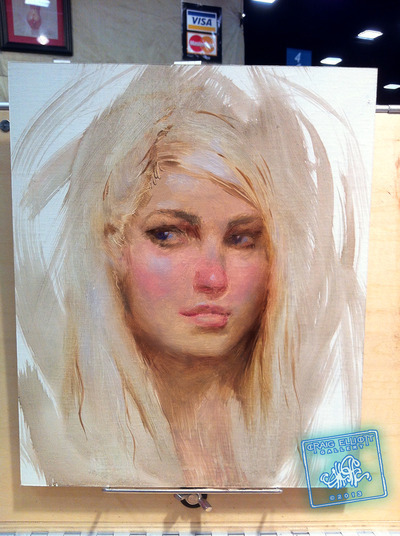 Painting of Aless as Khaleesi, from game of thrones, mid stage. At this point I have gotten the base colors of the face down, and am working on getting the shadows placed correctly, and in the right values. Just starting here, laying in the base colors. Another San Diego Comic-con 2013 painting!